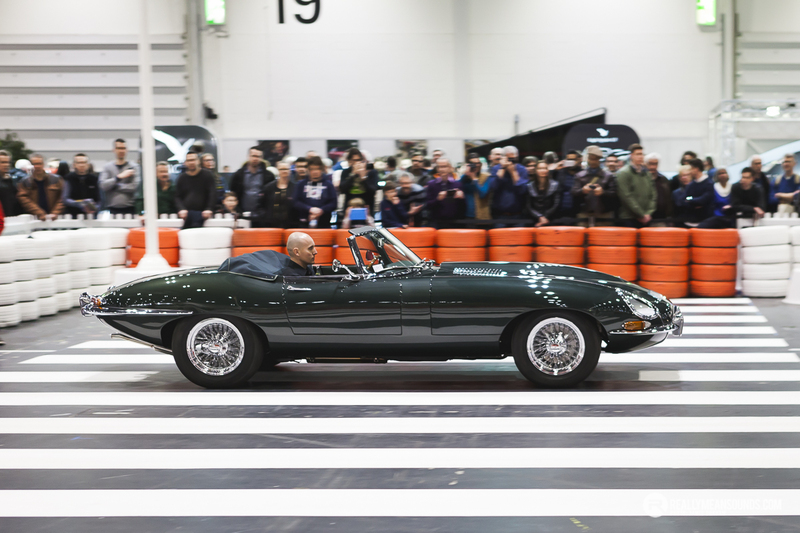 The London Classic Car Show is as a must attend for any discerning classic car owner, collector, expert or enthusiast. 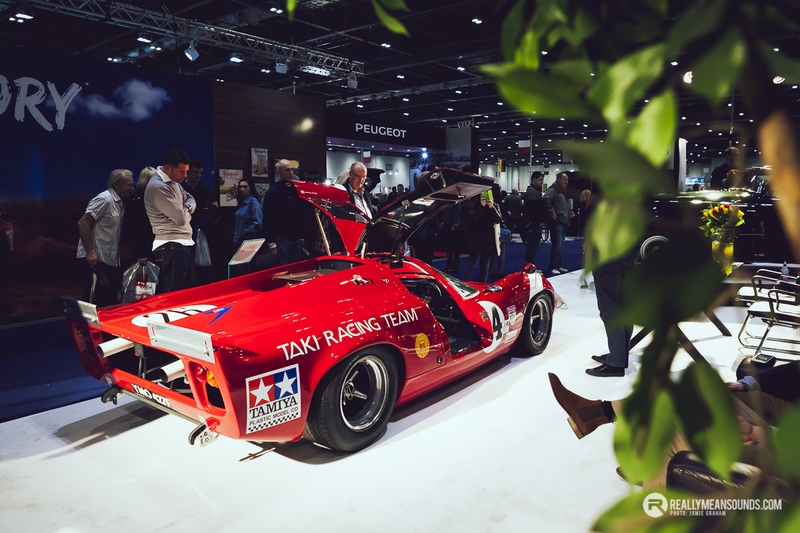 This incredible gathering of vehicles from all corners of motoring lived up to its pre-event billing. 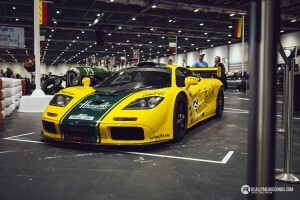 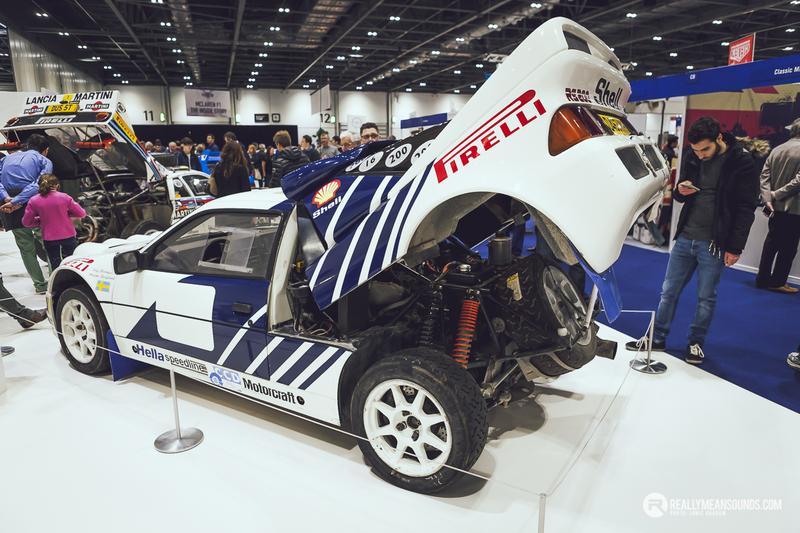 Supercars, race cars, vintage cars and modern classics crammed the massive ExCel centre in the heart of London’s docklands. 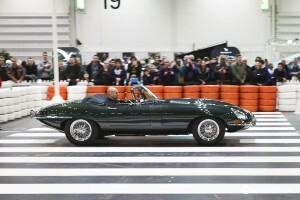 The scale of the ExCel centre – some 480,ooo square feet of space means that this show has a unique trick up its sleeve. 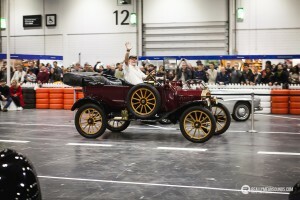 Cars are not just restricted to being stationary throughout the show. 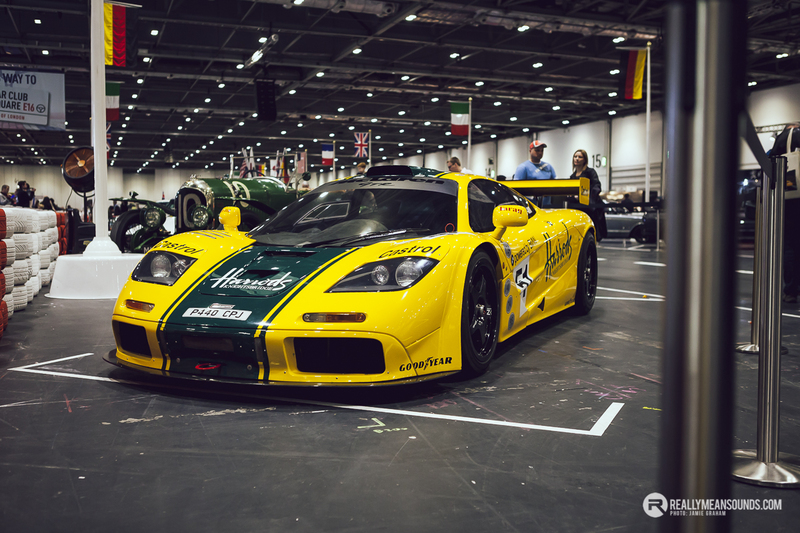 “Grand Avenue” is a highway splitting the main exhibition hall in half, enabling the exhibitors to drive some of the world’s finest cars. 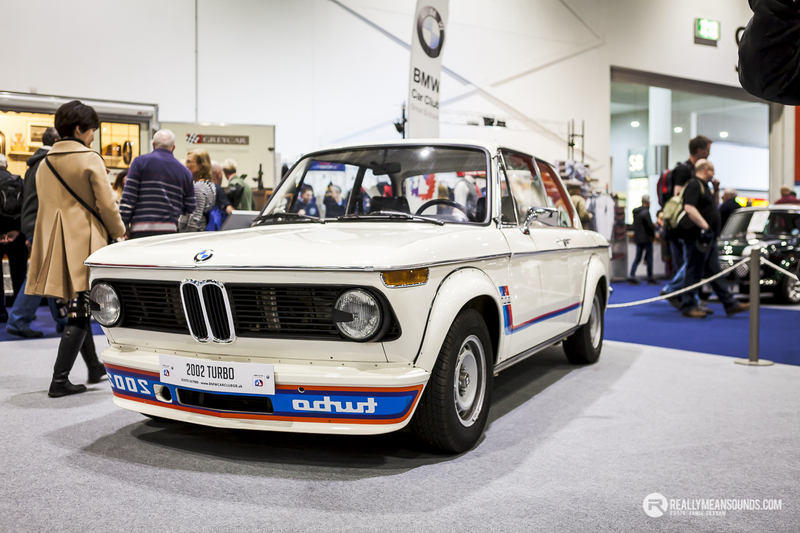 This year’s Grand Avenue played host to a world cup of cars style competition. 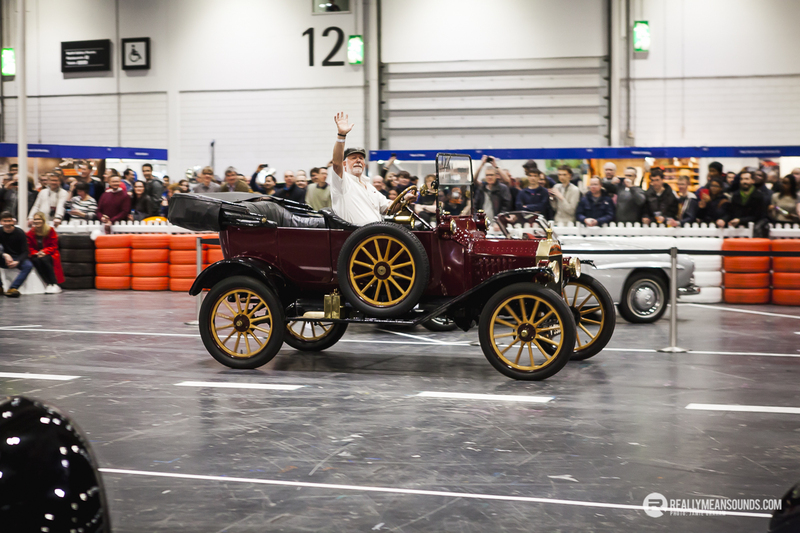 Show goers were asked to vote for the greatest car building nation, based on the cars rolling down the avenue. 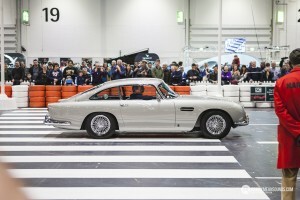 Great Britain narrowly beat Italy to the take the title, with the Harrods McLaren F1, Aston Martin DB5 and the Series One Land Rover sealing the win. 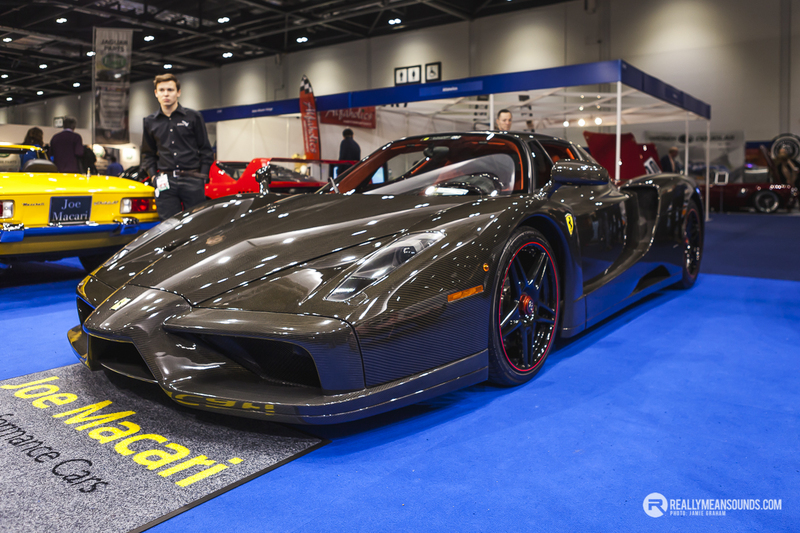 Joe Macari put on an impressive display of cars for viewers on his stand, featuring one of the most unique Enzo’s in the world. 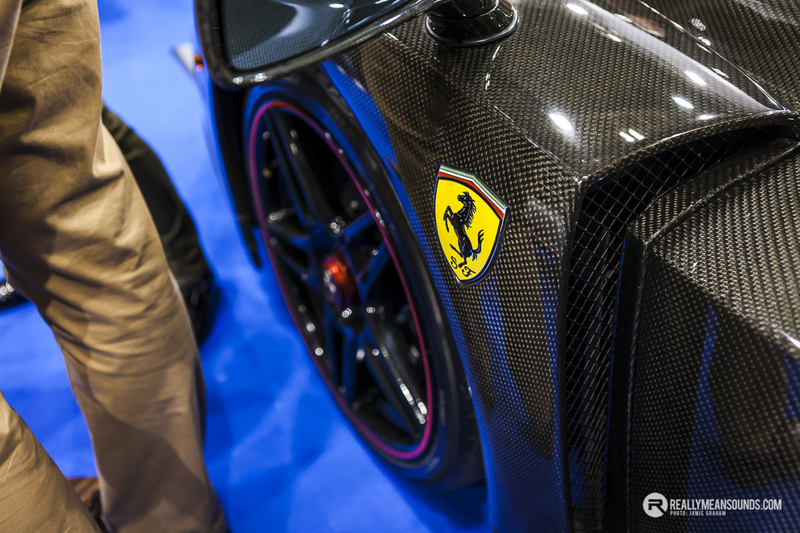 The fabled Carbon Enzo was sent to the factory bodyshop in 2005 to have every single panel stripped back and finished in complete carbon fibre. 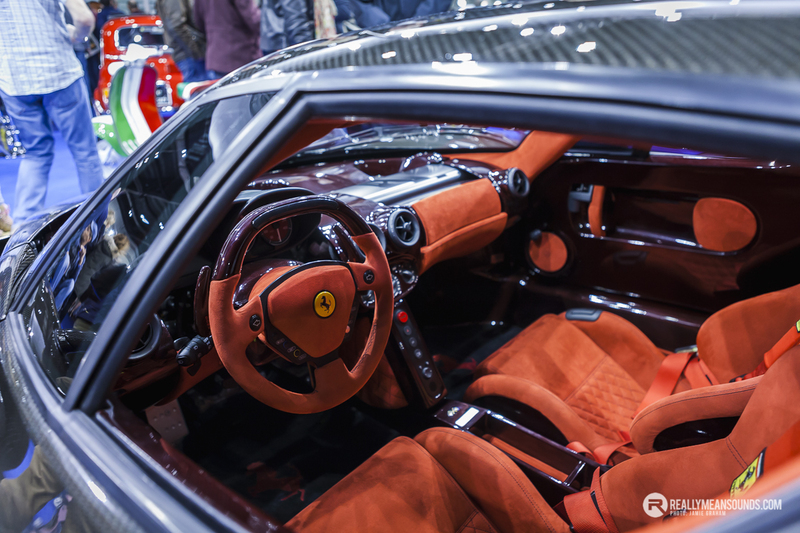 The interior was also refinished in Rosso alcantara along with Rosso carbon. 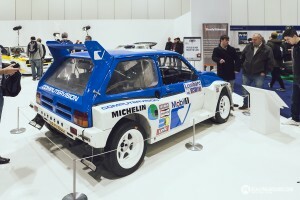 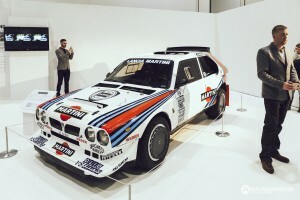 The show also featured a stunning display of Group B rally cars entitled ‘The Pinnacle of Rallying’, to mark 30 years since the fearsome Group B regulations were outlawed. Situated across from the main event hall was a specially curated display of car clubs, featuring those slightly more affordable classics. 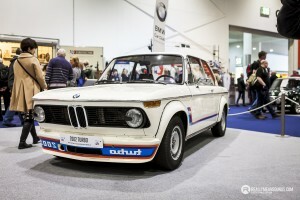 The BMW Car Club took centre stage showcasing an immaculate 2002 turbo. For more pictures of the sights and highlights, check out the gallery below. Moving exhibits really are the way forward for motor shows. 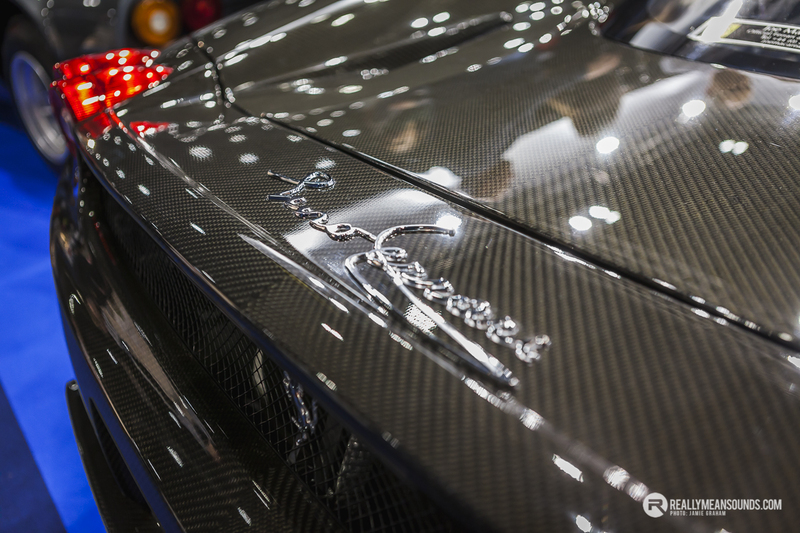 Cars move. 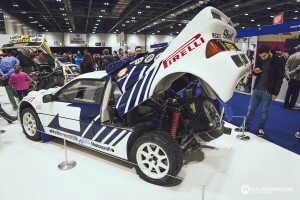 It's great to hear and see them go.